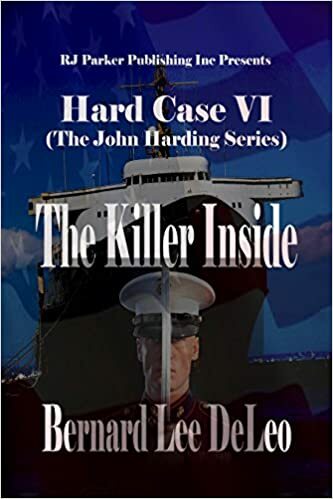 RJ Parker Publishing is very pleased to release the 6th book in the John Harding Series by international bestselling thriller author, Bernard Lee DeLeo. John Harding and his Monster Squad, after a bloody interlude defending their newly formed Oaktown Cartel, get word of a kidnapped Navy Seal. The violent kidnapping intervention leads to at sea combat preventing the nuclear devastation of the Northwestern seaboard, complete with helicopter kill missions against Isis compounds. Already signed to fight as a fill in at the Mandalay Bay Arena against new UFC phenomenon, The Berserker, Harding discovers a New York Russian mobster plans to target his family. The Dark Lord reaches inward for the killer inside to survive with no mercy asked and none given. "Jack Reacher fans, say hello to John Harding, in a series you won't put down: He grew up mean, running away from his alcoholic father at the age of 14. With a little help in the form of a new identity, the runaway becomes John Harding. While in special ops overseas, he's recruited by CIA agent Denny Strobert, who sees something besides a knack for languages and combat skills: he knows he's found a killer."